I walked into the Godiva store to pick up my free truffle of the month (one of my favorite things to do each month), and I saw these delicious looking dessert cups in the display. I really wanted them, but as a law student, on loans, the $3 – $4 dessert cup didn’t really fit into my budget. But I thought, “Hey, I could make those!”. And I was right! I love making and eating chocolate ganache, so this was an excellent choice for the Spring Fling Party. First, I had to find a good chocolate mold to work with. I remembered the ones at the Godiva store were shaped in hearts and I thought that was cute. 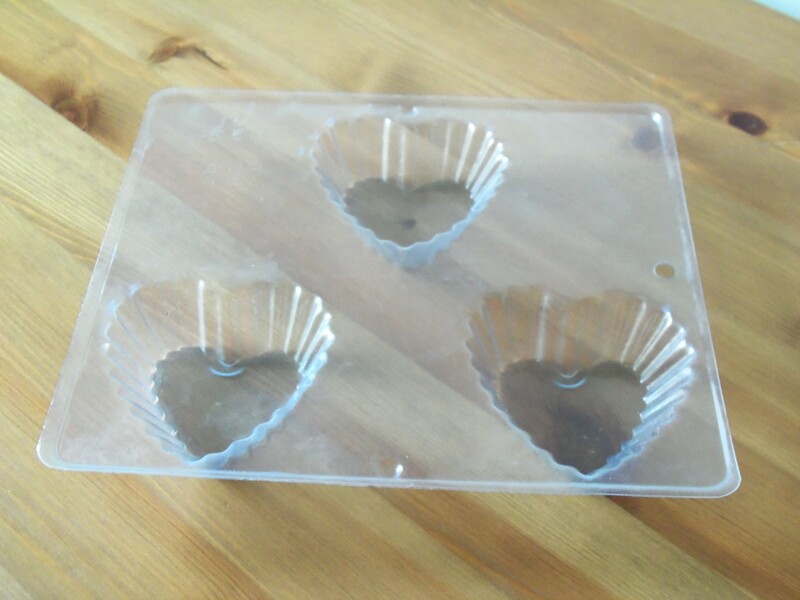 Since there isn’t a good baking supply store close by, and the one I love online is amazing, I went on Bake It Pretty and found a chocolate mold that was similar to the ones from Godiva. The only problem with this mold is that it only holds 3 cups per mold. This worked because I was only going to make 6, but if you are planning for a larger party you would have to buy more molds or it would be quite inefficient. Check out the recipe below! (1) Chop chocolate into small pieces and place them in a medium-sized bowl. Try and make the pieces as small as possible. It’s tedious, but it will help when mixing the chocolate. (2) Heat the heavy cream on medium-heat until it is boiling. Pour the boiling heavy cream on top of the chocolate. Let sit for five minutes, then whisk the chocolate and cream until smooth. (3) Spoon the chocolate into the mold cavity. If using the same or similar sized molds as I did, fill only 3/4 of the way. I didn’t want the cups to be too big, and the ganache is just enough for 6 dessert cups. Once all the cavities are filled, hold both sides of the mold and tap it lightly on the table to remove any excess air bubbles and to smooth it all out. (4) Put the filled molds into the freezer on a flat surface. Smaller molds would take about 5-10 minutes, while larger molds would take about 10-15 minutes in the freezer. I kept mine in for about 20-25 minutes, because I’d rather leave them in too long than not long enough. (5) After removing from freezer, turn upside down and push the chocolate out. With some molds you may be able to just tap it and it will fall out, but I find that this isn’t true with plastic molds. 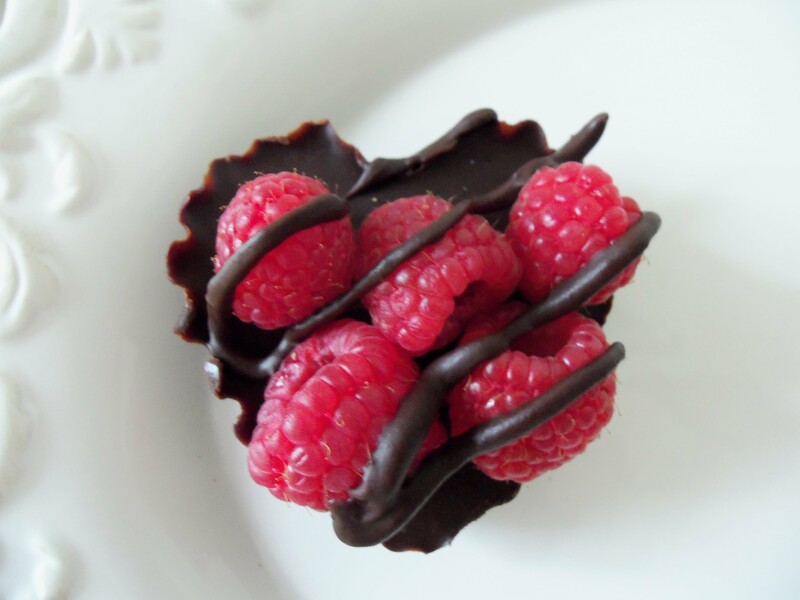 (6) Top the molds with raspberries (I did five per dessert cup). Also, the raspberries seem like they won’t stay on the cup, but once you drizzle the chocolate on top, it’ll lock them in better. Get the excess ganache and drizzle it on top of the fruit. To drizzle, I know some use a spoon, but I like to put it in a ziplock bag. I then cut a little piece out of the corner and drizzle the chocolate that way. Refrigerate for at least 30 minutes. I just might have to make these this weekend. Look so yummy!! Thanks for sharing. 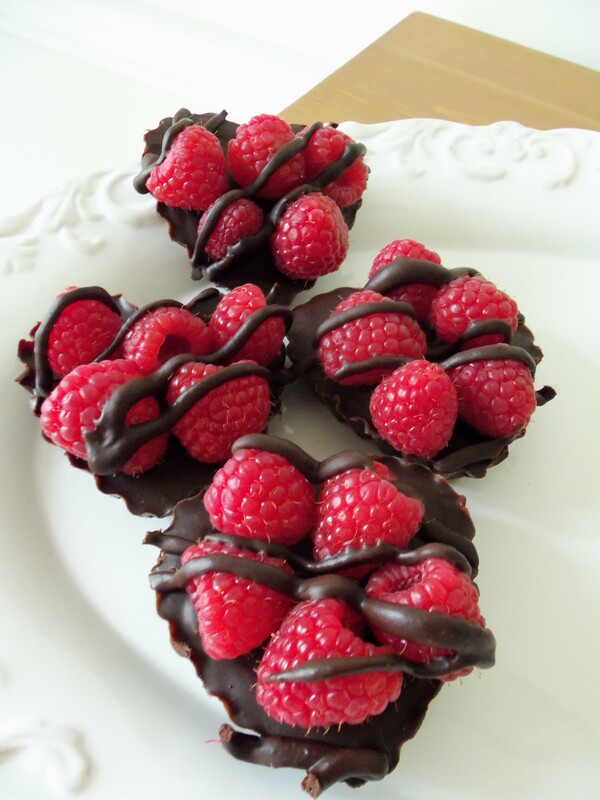 A fellow blogger thought my Chocolate Dessert Cups are “fabulous”!!!! !